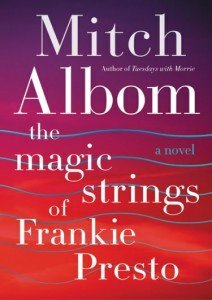 “In Mitch Albom’s epic new novel, the voice of Music narrates the tale of Frankie Presto, a Spanish war orphan raised by a blind music teacher. At nine years old, Frankie is sent to America in the bottom of a boat, with an old guitar and six magical strings. But Frankie’s talent is touched by the gods, and it weaves him through the musical landscape of the twentieth century, from classical to jazz to rock and roll. Along the way, Frankie translates for Django Reinhardt, backs up Elvis Presley, even counsels Hank Williams. The worst thing about our book club is that we can never keep the conversation going, all those awkward silences… Bhahahaha!!! The discussion tonight was ‘spirited’. Surprisingly we all enjoyed reading this book. One of us even thought it rated in the top 5 books she’s read but for the rest it was simply a captivating story with wonderful musical references that was easy to read. Add to that it has its own playlist! There were some differences of opinion on ‘Music’ the narrator. 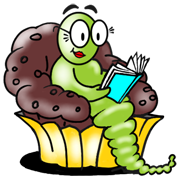 A few enjoyed the narration and others found Him(or Her?) a tad annoying. The telling of Frankie’s story through interviews of musical legends on the church step before Frankie’s funeral was wonderful. Loved that!! As is often the case the book is usually a jumping off point to a discussion of many other things. Tonight it was the Jian Ghomeshi trial, old loves that slip in and out of our lives (Frankie and Aurora style), the evils of menopause, and surprisingly on topic – the role of music in each of our lives. It was a wonderful evening even if we did keep our host up well past her bedtime. – barely got out the door befor the lights went out!